Pie Eyed Pete has more twang than you might think at first glance. Sure he has the vocal fire you only get from 800 or so consecutive nights in bars and you can hear a distinct garage rock influence in his voice but he is country at heart. The lead song “Lay Me Down” is adorned with violin setting the tone that this music feels at home a little more in bars with an electric bull than bars where you’ll find mosh pits. The early punk bands like The Beat can be heard at times like on “She Got Gone (Ghosts)” more so than most (ironically this may be the most country title among this group of songs) but twang is what ties everything together. The brilliantly titled “From A Soaking Skull” has the inebriated swagger that defines country bar-rock with a subject matter to match. The wandering “Everything (Sing Your Favorite Song)” may be the best microcosm of this album, it has a sing-along chorus with the notable whine of a pedal steel guitar that instantly meets the quota for country credibility. It’s not all “tear in my beer” country though, Pete gets rowdy with “Pot In My Car” where he creates a barroom stomp worthy of the Old 97’s. The frowned upon subject covered finds the band at their loosest, jamming harder than they do for the rest of the record. 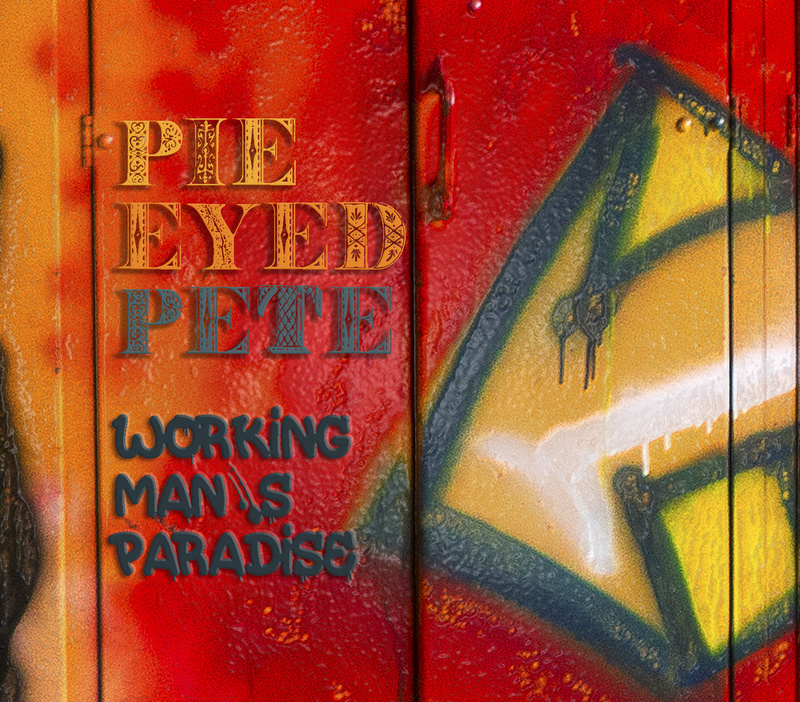 Pie Eyed Pete delivers a good bar record with Working Man’s Paradise, he does sad and happy country equally well and ends up with a good Friday night album.